The earthquake's epicentre was located in Dusky Sound at the south-west corner of the South Island. Its magnitude of 7.8 made its size comparable with the Buller (or Murchison) earthquake of 1929 and the damaging Hawke's Bay earthquake of 1931. The earthquake rupture started at about 30 km depth and ruptured upwards and to the south, focusing energy offshore. The motion was more like a lurch than a snap (meaning the energy was released more slowly); this is typical for a subduction thrust event. This explains why the damage was much less than many people expected for this size of earthquake. The motion was slower (with lower frequency shaking) and "rolling" rather than the sharp (higher frequency shaking) movements that cause building damage; this also explains the low number of landslides. 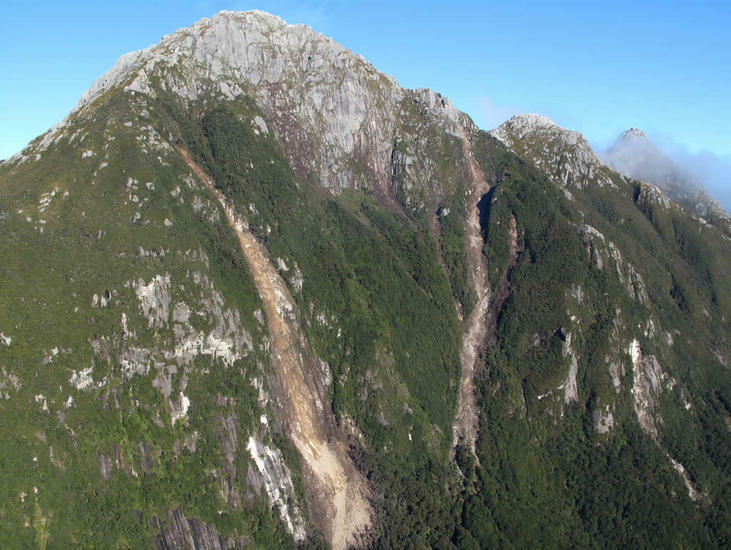 The mainshock was a large reverse faulting or thrust mechanism resulting from the Australian plate pushing (subducting) beneath the Pacific plate upon which Fiordland lies. This is the largest and one of very few examples of this type of earthquake in New Zealand, making it very important for our understanding of hazards here. The aftershocks are concentrated at either end of the faulting area and are mainly a mixture of reverse faulting and strike-slip faulting mechanisms reflecting the complexity of the tectonics in the area. The earthquake rupture started at about 30 km depth and ruptured upwards and to the south, focusing energy offshore. The motion was more like a lurch than a snap (meaning the energy was released more slowly); this is typical for a subduction thrust event. This explains why the damage was much less than many people expected for this size of earthquake. The motion was slower (with lower frequency shaking) and "rolling" rather than the sharp (higher frequency shaking) movements that cause building damage; this also explains the low number of landslides. This, and the remoteness of the epicentre, means that New Zealand has been very fortunate - if this earthquake had happened anywhere else it would have caused huge damage, even with the mitigating low frequency behaviour. 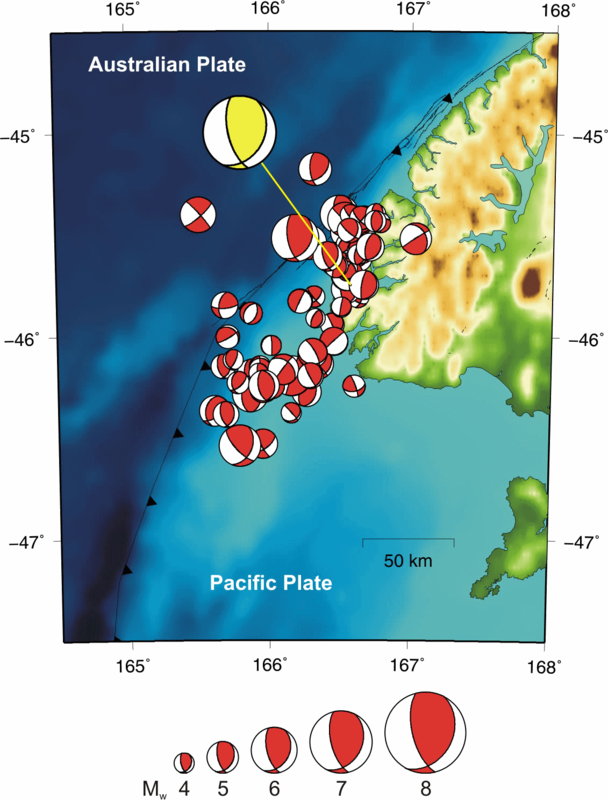 The deformation caused by the Dusky Sound earthquake resulted in the movement of the south-west of the South Island towards the west-south-west (in a direction somewhat to the south of Australia). The map below shows the horizontal motion of various points in south-west New Zealand. The blue arrows are observed permanent displacements due to the earthquake (there are only four of these on the map). 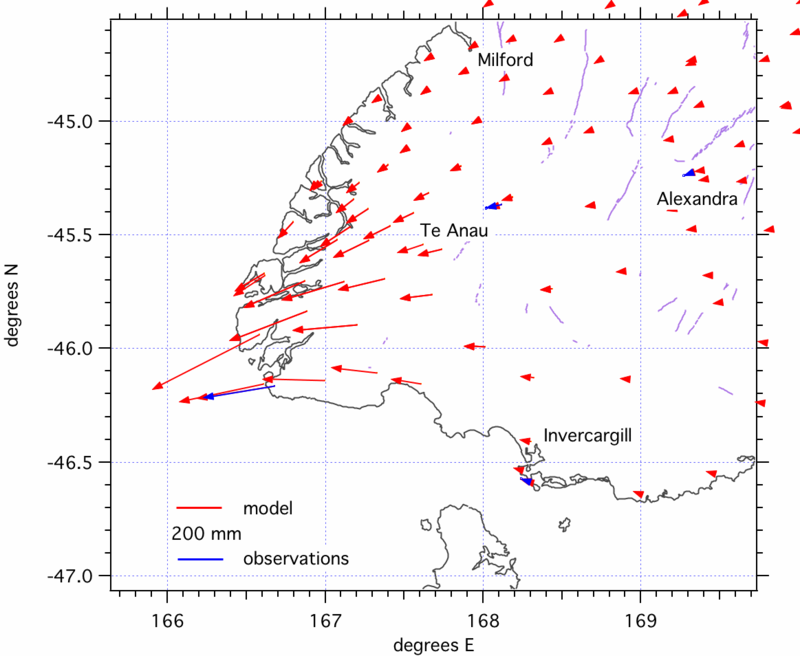 The largest is about 350 mm of motion at Puysegur Point in south-west Fiordland (see below for how to observe the data); the red arrows are predicted displacements at other points. Focal mechanisms for the earthquakes in Fiordland (the mainshock is shown in yellow and offset from its true location). Horizontal motions caused by the Dusky Sound earthquake. Peak Ground Accelerations recorded for the Dusky Sound earthquake. Large earthquake occurrence in New Zealand has shown clustering in time (mid-1800s and late 1920s to early 1940s). Therefore, in general, the probability of an event is higher after a large earthquake than before. The occurrence of the Dusky Sound earthquake does not mean we have had the "big one" as more are always possible. It is also important to remember that large earthquakes can occur in many parts of New Zealand, not just Fiordland. The stress on the southernmost (offshore) section of the Alpine Fault was increased by the Dusky Sound earthquake. We do not know how close the offshore segment of the Alpine Fault is to rupturing, so the effect of this earthquake is uncertain. If the offshore section of the Alpine Fault was to rupture, it is unlikely to rupture into the onshore section. The known geology of the Alpine Fault does not indicate that earthquakes on this fault have been closely clustered in time. An overflight of the area was undertaken on the morning of Thursday, 16 July to see what damage had happened to the landscape. 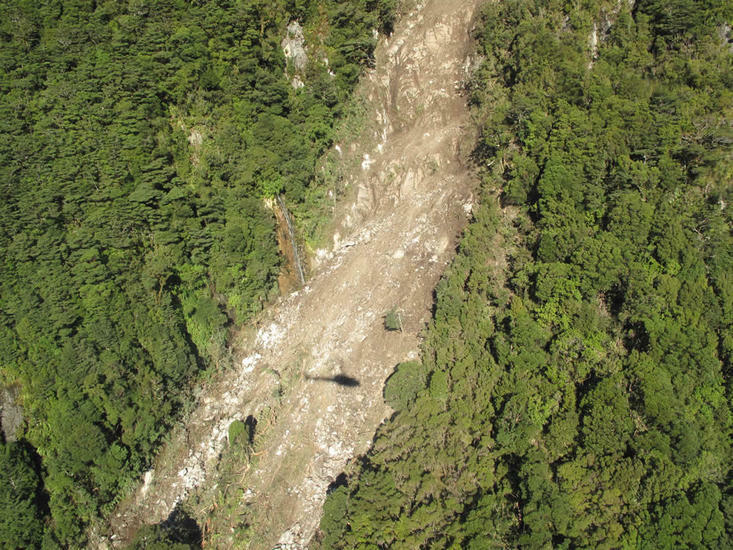 There were expected to be numerous landslides in Fiordland as a result of this earthquake, but that did not prove to be the case, one of the pointers to the style of earthquake described above. 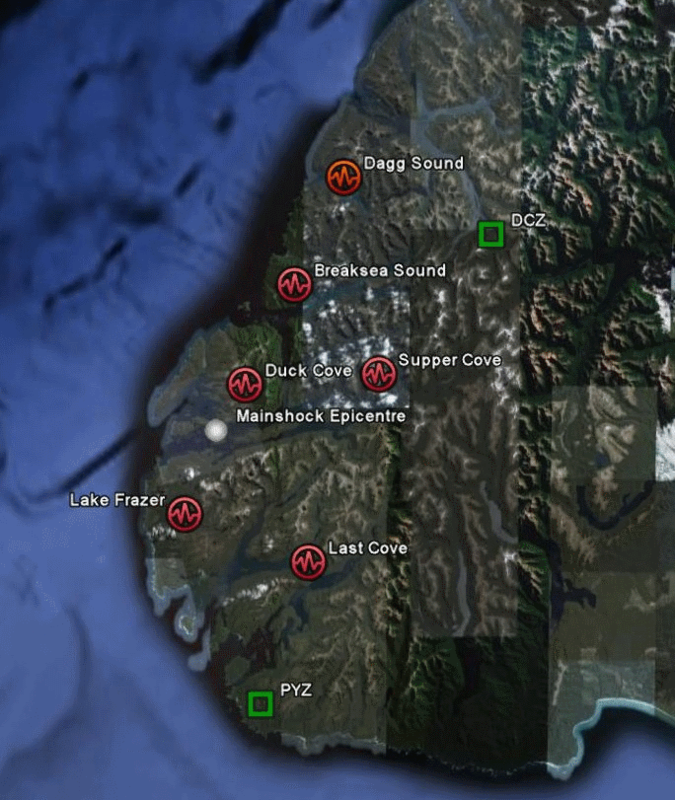 Six portable seismographs were deployed in the vicinity of the mainshock on Friday, 17 July (see map at right). Data recorded by these instruments enable scientists to locate aftershocks more accurately and so determine which part of the crust has ruptured, and how it might affect nearby faults. A repeat GPS survey was also carried out to evaluate the extent of any movement or uplift in the region. The permanent GPS network data showed some large offsets since the earthquake; they may be seen using the GPS Time Series application. It is most apparent on PYGR, MAVL, BLUF and LEXA, where the point(s) have jumped away from the previous long-term trend. The earthquake caused permanent displacements of approximately 2 cm at Alexandra (LEXA), 3 cm at Bluff (BLUF), 5 cm at Mavora Lakes (MAVL) and 30 cm at Puysegur Point (PYGR). 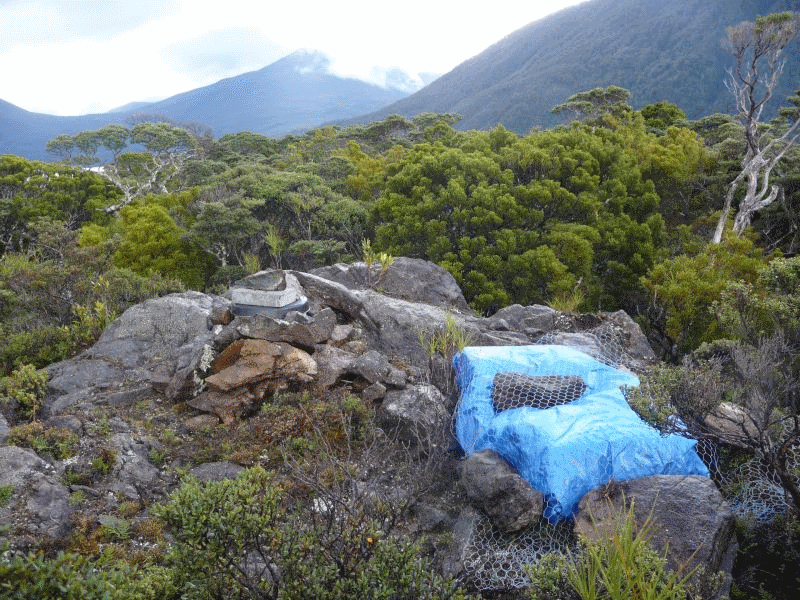 The temporary seismograph installation at Last Cove, secured against weather and keas. Map showing the location of portable seismograph deployments (red) and permanent stations (green). How big was this earthquake? The earthquake was originally reported as being of magnitude 6.6. This was a rapid estimation which is only reliable for earthquakes of up to magnitude 7.0. Perversely, it is easier to get a better estimate of magnitude from further away, so when an estimate of 7.8 was received from the United States Geological Survey, the website was updated with that more reliable figure. This in turn was a revision from their initial estimate of over 8.0. They currently feature three estimates of magnitude for this earthquake, 7.6, 7.7 and 7.8, with a preferred value of 7.6. GeoNet released details with a magnitude of 6.6 in order to get some preliminary information out as soon as possible, with the revision to the magnitude following this an hour later. Did I feel it in the North Island? You may have, but in the midst of all the activity down south, a deep magnitude 5.5 earthquake occurred south of Taranaki. It was felt in Wellington at about 9:40 pm, a quarter of an hour after the 7.8 earthquake in Fiordland. Cracks in exterior walls were reported from one property in Invercargill, and another at nearby Otatara reported the piles were now distorting their lounge floor. There were also reports of ground slumping causing some property damage in that area. 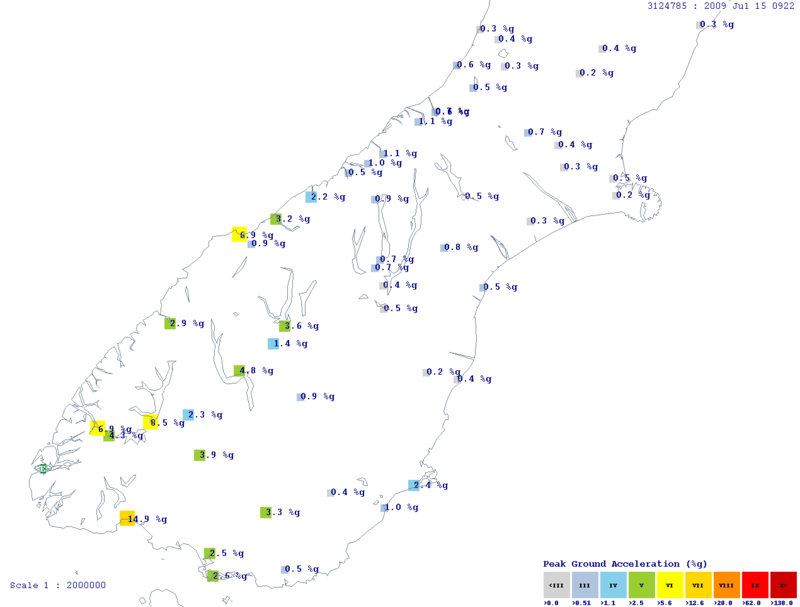 There were lots of reports of articles falling from shelves and items being ejected from cupboards throughout Southland, as far north as Wanaka and Hawea and east to Dunedin, and isolated reports of power and telephone outages at Gore, Glengarry, Scotts Gap, Orepuki, Otautau, Otatara, Te Anau, Invercargill, Merrivale and Queenstown. A water main was reported to have broken at Winton, north of Invercargill. A small tsunami was generated by this earthquake, with the tide gauge at Jackson Bay, near Haast, recording a wave of 1 metre (peak to trough). 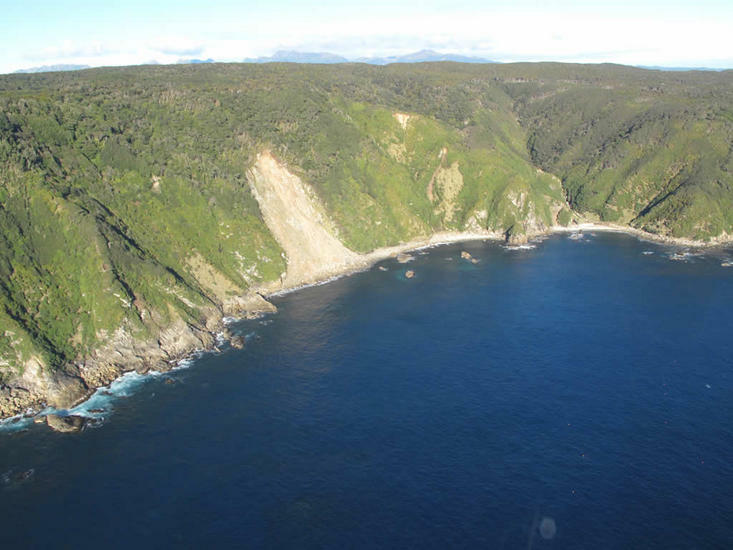 An Australian gauge located out at sea, south-west of New Zealand, also detected a small wave some time after the main earthquake, which may have been generated by a landslip into the sea or an undersea landslide.